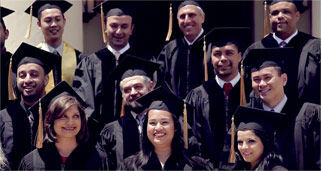 The part-time, evening law program at Glendale University College of Law provides a thoughtful, challenging curriculum and a supportive, success-oriented learning environment. Class sizes are small, professors are accomplished legal professionals, and students learn every subject tested on the California Bar Exam. GUCL invites prospective students to visit a law school class: RSVP Required!